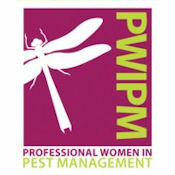 The National Pest Management Association’s (NPMA’s) Professional Women in Pest Management (PWIPM) group is encouraging pest management professionals worldwide to participate in International Women’s Day on Mar. 8, 2019. The global event acknowledges the social, economic, cultural and political achievements women leaders have made and continue to make. If you plan to celebrate, PWIPM asks that you email pwipm@pestworld.org and share on social media by tagging @NationalPestMgt, using the official hashtags #BalanceforBetter and #IWD2019. The group will then feature you in an industry press release after the event. Learn more at InternationalWomensDay.com. -PWIPM Networking Lunch: Feb. 24, noon to 1 p.m.
-PWIPM Sponsored Presentation: Attracting Top Talent panel discussion, Feb. 25, 11:30 a.m. to 12:30 p.m. Check your area for local events at PWIPM.org. For example, the Minnesota chapter (PWIPM MN) is hosting a table at the Minnesota Structural Pest Management Conference and Reception on Monday, Mar. 4, at the Minneapolis Convention Center. The group will also host its first Meet and Greet Networking event on Thursday, Mar. 28, at Jake’s City Grill at 3005 Harbor Lane N., Plymouth, Minn., from 4 p.m. to 6 p.m. (please RSVP to julieb@adamspestcontrol.com).